summary diagrams on the left page and explanatory text on the right. Covering a wide range of topics, books in the at a Glance series are ideal as introductory subject texts or for revision purposes, and are useful throughout medical school and beyond. Everything you need to know about Paediatrics…at a Glance! 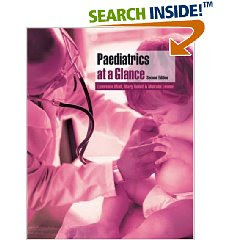 Paediatrics at a Glance is an ideal companion for anyone about to start a paediatric attachment or module and will appeal to medical students, junior doctors and GP trainees. In addition, the text will provide valuable insight for nursing students, physiotherapists and other health professionals.